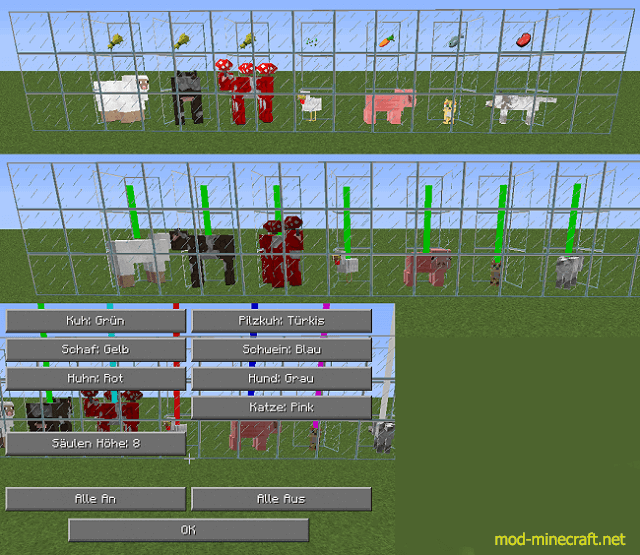 With Breedingviewer Mod you can add a colored pillar or the breeding item of your animal, if it is ready for breeding. The whole thing was created for farmes who don’t want to click randomly on their Animals to see if they are ready for mating again. Now you can farm your animals accurately.